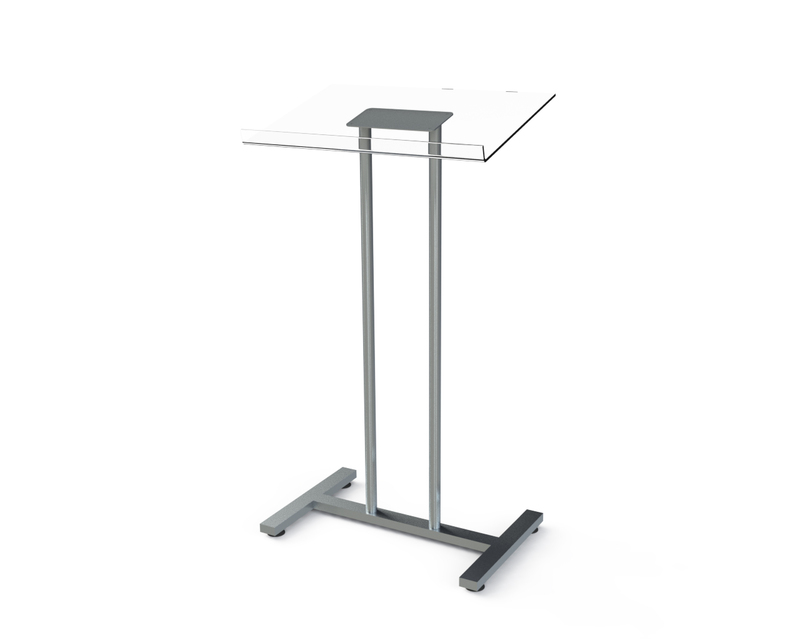 A modern, robust and well made lectern. Made with a quality stainless steel base, perspex top and adjustable feet on base. 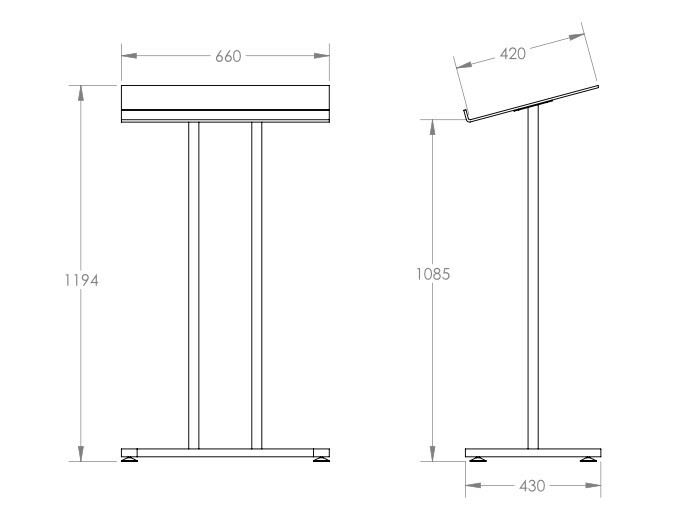 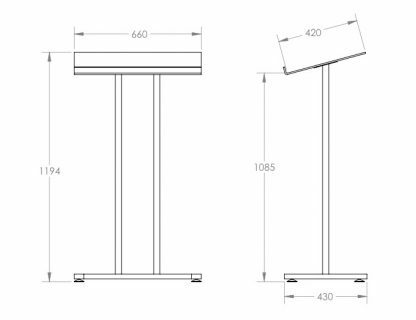 Height 1100mm, desk size 660mm x 430mm.